Another day, a sannyasi [one who has renounced worldly possesions] from Kashi took Ramdas out for a walk round the famous hill. On going some distance both sat on a raised stone platform beneath a tree. Here the sannyasi confided to Ramdas his condition. "Maharaj," he said, "I have been for nearly thirty years in this line of sannyas, but still my mind is perfectly hopeless. Lust, greed and wrath are as rampant in it as ever. What shall I do?" 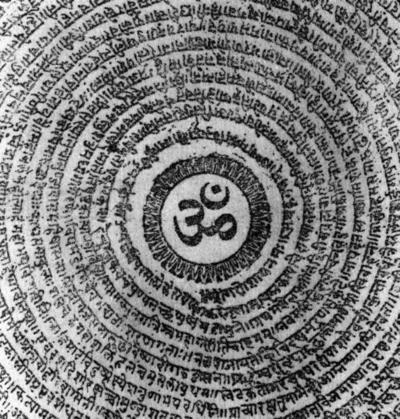 "The only way to control the mind and free it from the evils you mention is always to take the Name of God, meditate upon His great attributes and surrender all your actions to Him," Ramdas replied suggestively. "I have done all that and I have failed," he said. "You ought to practice in solitude," Ramdas put in. "Oh!" he cried out, "don't speak of solitude. I have a terror for solitude. When I am left alone, my mind goes into a whirl of most unholy desires. So I am running after saints. In their society I have peace. But I know I should not solely depend upon external aids for attaining peace, as such peace cannot be permanent." He stopped and looked at Ramdas for the solution of his problem. 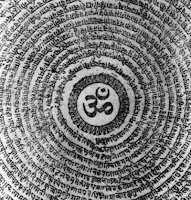 "What you say is right," Ramdas now spoke at length; "God, who is absolute existence, consciousness and bliss, is within you -- nay, you and He are not different. Unless you realize Him, there can be no true liberation and lasting peace. Please note that the first qualification necessary for the seeker of God is fearlessness. Neither the terror of solitude nor the terror of the crowd should daunt you. But solitude is a great help. Know that God, who dwells in you, is almighty. Seek His assistance by constant remembrance, meditation and prayer. Then the mind is bound to come under control. The evil passions must depart from it. The whole universe is the work of God’s art. To anything that we see, we do not give any particular importance as different from the rest of the world. But we see the whole universe equally as the manifestation of God, everything a beautiful manifestation. 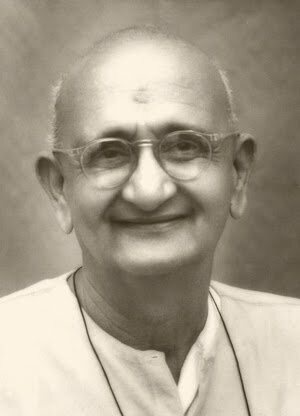 # Swami Ramdas was a spiritual teacher, may God bless his soul, was often called Papa Ramdas or simply Papa, was born Vittal Rao in 1884 in Hosdrug, Kerala, Southern India. Ram Das means, Servant of God. After leading a rather customary life as householder, husband and father, the Lord called upon him to renounce his worldly possessions and completely surrender to the Lord for all of his care and sustenance. He knew that God alone can give eternal peace and happiness, and thus began a life-long journey of pure devotion and surrender. And so it was that in 1922, Ramdas left his home, his wife and his children in order to live the life of a sadhu, unconcerned about where he was going or what would happen, living every moment with the Ram Mantra continually on his lips and in the Love of God in his heart. Having spread a message of religious unity and the magnificence of the One Almighty Lord throughout India and around the world, Ramdas departed this world on August 2, 1963.